Cloth is sold in WHOLE YARD increments. Please select the number of yards by changing the product quantity (next to the "Add To Cart" button). 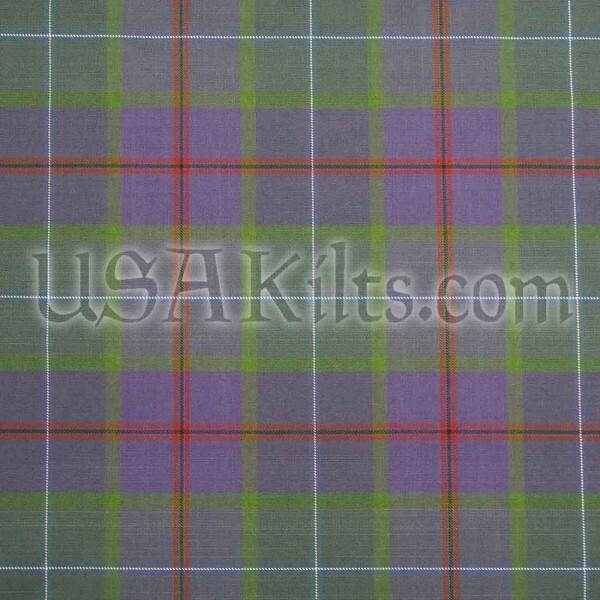 This tartan was designed by James Johnston of Albannach and Rocky Roeger of USA Kilts. The bright blue and white represent the Saltire. The muted blue is for the numerous lochs in Scotland. The purple is for the heather and thistle. The olive green is for the rolling hills. The red is for the blood of those who fought for Scotland. The Black is for those who died for Scotland. The threads in the "saltire" section add up to 13 and the red threads add up to 14... The "Flag and Blood" sections are 1314 for the year Robert the Bruce led at Bannockburn and reestablished Scotland's independence. 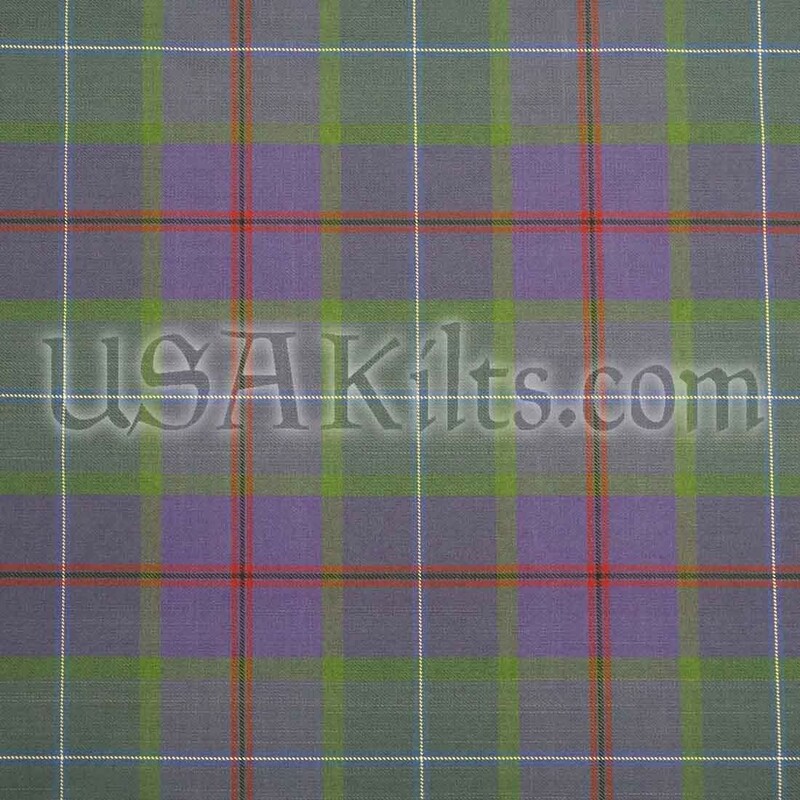 The cloth is 12 oz Poly Viscose fabric. 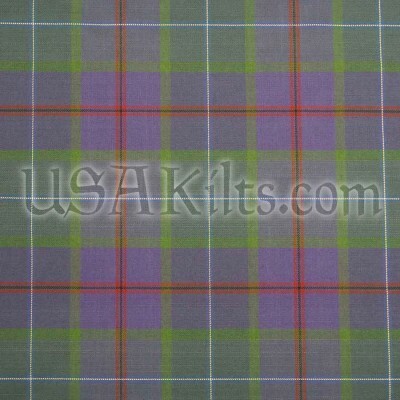 It's the same material we use for our Casual and Semi Traditional kilts. This cloth is machine washable and coated with teflon to resist stains. It is sol by the yard and is 58" wide.